With some of the most beautiful architecture in Europe – as well as some of the best beer – there’s always a good reason to visit Germany. 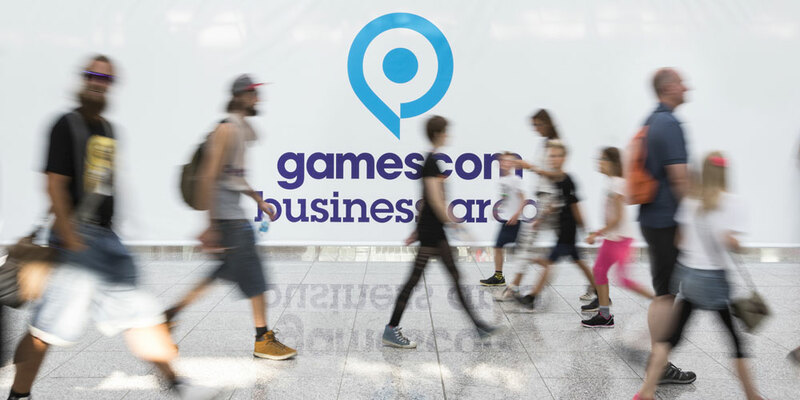 One of those reasons is the annual convention Gamescom, a gamer’s paradise with close to 900 exhibitors and more than 345,000 attendees anxiously awaiting the latest PC gaming hardware, software and other innovations. This year we are showcasing our full gaming lineup including Alienware and Dell Inspiron Gaming PCs as well as new products like the Alienware mice, keyboards and monitors for the first time in Europe and introducing some exciting new products, partnerships and innovations. So what’s new? Well, starting today, gamers worldwide can now order the new Alienware Area 51 with Intel’s Core X-Series with multi-core processors for megatasking like streaming and gaming at the same time. We are also partnering with Microsoft as the PC Gaming hardware partner on their new game Forza Motorsport 7 and continuing our partnership with Tobii to enhance the way fans watch and experience their favorite esports tournaments online. You can check out all of these exciting new PC gaming innovations in our stand B011 in hall 6 as well as live gameplay, virtual reality demos and other gaming competitions. The exclusive Tobii eye-tracking demonstration, uniting industry innovators, Alienware and Tobii, will show off Player Gaze Trace that provides an additional layer of visual feedback, giving players and viewers new ways to interact with their games. This is the same eye-tracking technology that enables people with physical disabilities to live more independently and is now transforming our work in esports. On the topic of eye-tracking, we encourage everyone to tune in to the ELEAGUE CS:GO Premier 2017 to see esports production reach new heights with new eye-tracking technology prepared for tournament integration by Tobii, Alienware and ELEAGUE. Kicking off with a preview show on September 1 on YouTube, Twitch and TBS, and with live matches beginning September 8, the eye-tracking technology will offer casters and viewers, for the first time, the ability to visualize the gaze of key pros during match highlights and analysis. We believe this technology will bring an exciting new layer of insight to the competition and ultimately, enhance the viewing experience for the fans. In our booth we will also have esports teams, Team Dignitas and Team Liquid meeting fans, live from 5-7 p.m. on August 23. You can also participate in our fastest lap-time competition (did I mention there will be great prizes?) in a sneak peek of Forza Motorsport 7, Microsoft’s AAA racing game which launches October 3 with Dell as their PC Gaming hardware partner to promote Forza Motorsport 7 on all industry leading Alienware and Inspiron Gaming systems. Along with other competitions and demos (Fortnite Tom Clancy’s Ghost Recon: Wildlands, etc.) there will be livestream activations hosted by Kunga, one of Germany’s top YouTube stars, and daily shows with our own in-house celebrity gamers on Alienware.TV. Do you live stream? If so these are the units for you! These rigs are for diehard gaming enthusiasts, mega-tasking game streamers and content creators that demand the absolute best performance. Today we are officially launching the new Alienware Area-51 with Intel® Core™ X-series processors, which are geared to deliver the best experiences for serious gamers, streamers, developers and programmers alike including 4K and VR. All processors are fully unlocked for performance tuning, with up to 10 cores & 20 threads. Alienware’s tool-free, dual-graphics desktop features whisper-quiet operation so you can game all night long without waking up the entire house. Available now: $1699/€1999. We also have the Area-51: Threadripper Edition, which we are the only OEM to offer, featuring Alienware’s first 16-core processor desktop and supports up to 1125W dedicated to graphics to design and conquer the competition. More highlights of this system were shared here last month. Available now: $2999/€2 769. For more than 20 years, we’ve been dedicated to listening to our community and as our fans have asked, we have delivered branded monitors and peripherals to offer a complete PC gaming hardware experience and we are showing them for the first time in Germany this week. The Alienware 25” gaming monitor, with either NVIDIA G-SYNC (AW2518H) or AMD FreeSync,(AW2518HF), offers premium Alienware design with fast refresh rates and signature AlienFX™ lighting for greater game immersion. Available now: $499-699/€418-608. In many competitive games, I’ve lost because of a single key stroke, and the new highly configured Alienware Advanced Gaming Keyboard and Pro Gaming Keyboard deliver more victories with mechanical switches that deliver precise, responsive and consistent keystrokes. Available now: Advanced $89.99/€99, Pro $119.99/€139. If you want to get the upper hand in your next FPS or RPG game, Alienware’s new new Advanced Gaming Mouse and highly configurable Elite Gaming Mouse will provide precision and control for those intense battles. You’ll find that they’re ergonomically designed for comfort, featuring AlienFX™ lighting to personalize your experience, and outfitted with nine unique buttons for in-game customization for the Advanced Gaming Mouse and up to 13 programmable buttons for the Elite Gaming Mouse, perfect for MMOs like World of Warcraft. Available now: Advanced $49.99/€52, Elite $89.99/€105. Make sure to keep abreast of all the news coming out of Gamescom! Sign up and become a member of Alienware Arena. Follow us on Facebook and Twitter @Alienware and engage in the conversation using #Gamescom2017. You can also join us on Alienware.tv, or sign on and watch our Twitch stream for the latest updates and information.